You can bring your own equipment to the resort or you can rent equipment directly on the ski base. 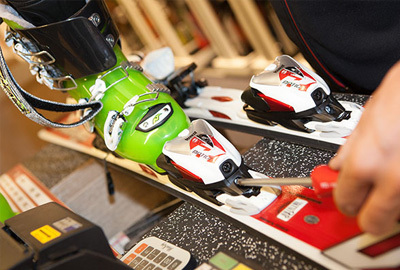 We will be happy to hire you a full ski kit (helmet, glasses, gloves, jacket and pants, skis or snowboards, sticks). Instead of a complete set, you can also rent only the missing equipment. If you don’t have your own skis or enough of the necessary equipment – feel free to contact the rental service of the ski base “Too-Ashuu”. There are a lot of them here. All inventory can be rented as a bundle, or separately for an hour from a day. Suitable equipment sizes can be found for both adults and children. As a security for equipment, you can leave a passport or driver’s license. Do not forget, please to take an identification card with you on the slope. In their absence, you can leave money as collateral. It is very important to choose your ski equipment correctly. After all, your safety during riding depends on this. Any piece of protective equipment will perform its function only if it is properly sized and tightly fastened. You must wear a helmet – this will protect your head from blows. The back will protect the hard plates “Turtle”, coccyx and hips – protective shorts, knees – knee pads with plastic inserts, wrists – gloves with a protective plate. Equipment rental at the “Too-Ashuu” CB provides a good choice and meets the requirements of both beginners and coryphaeus of mountain skiing.